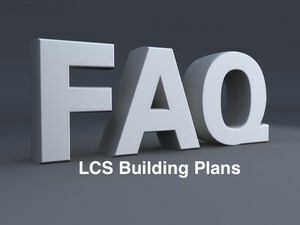 Lincoln County Schools is currently in the process of facilities evaluation and developing both short-term and long-term building plans. This Frequently Asked Questions (FAQ) document has been developed to give parents, students, employees, and community members the most up to date status of the planning. How will Pre-K at Stone Bridge Academy be impacted (will there still be LCS Pre-K in town)? There are currently five Pre-K classrooms at Stone Bridge Academy. Plans are to eventually move 2-3 of these out to their home school, either Highland Rim or South Lincoln, while also keeping the remainder centrally located, possibly at the current NGA or continue at Stone Bridge Academy. What is the timeline? An official timeline has not yet been developed but will be soon. What are the top priorities, or most urgent? Blanche School and Flintville gymnasium are the top two priorities. How was the plan developed? Feedback was given through numerous venues, including but not limited to the following: Director's Coffee Meetings, Student Breakfasts with Director, Lunch, Listen, & Learn Tour, Support Staff Focus Meetings, Previously Developed Maintenance and Facilities Lists, a Formal Survey to all Staff, a Prioritizing Survey, Brainstorming Sessions in Committee, the Capital Projects Committee, and the Board of Education Facilities Committee. A comprehensive list of capital projects and needs were developed from the input received. This list was presented to the Supervisor of Facilities and Maintenance to place an estimated cost for each item, if possible. Once each item had a cost attached, administrators, Committee members, and Board members were asked to prioritize items. Is there really a chance that 9th graders will be moved to LCHS? That is a possibility. There are currently 1150 students in grades 9-12. In 2003 there were 1250 students in grades 10-12 on the LCHS campus. We are currently evaluating the benefits and drawbacks to students and student learning of such a move. How is Blanche School impacted in the plans? A new facility is to be constructed. The location is yet to be determined but is planned to be strategically located to alleviate overcrowding at HRS. How is Flintville School impacted in the plans? A much needed and long overdue gymnasium renovation will be completed. How is Highland Rim School impacted in the plans? A cafeteria expansion will be completed to address an undersized cafeteria. Additional classrooms will be built to address the overcrowded situation. An overall facelift to the oldest wing of the building will be completed. How is Lincoln County High School impacted in the plans? A new wing will be built at LCHS. This wing will allow for needed upgrades in science and mathematics classrooms while also providing space to move all ninth graders to the campus. It will also result in a set-aside pod/area for ninth graders to still have a space for only ninth graders, except on the same campus with tenth through twelfth graders. This move will drastically improve programming and services provided to students. How is the Ninth Grade Academy impacted in the plans? The current NGA will become a multi-purpose facility, most notably becoming a STEM (Science, Technology, Engineering, and Math) Magnet School that will also serve students from the north end of the district. Students from other areas of the county, outside the zoned area, will be allowed to attend via admission through an application process. Other parts of the campus will house the central office and any future non-traditional school settings such as a virtual/online academy or an LCS homeschool. How is South Lincoln School impacted in the plans? A cafeteria expansion will be completed to address an undersized cafeteria. Additional classrooms will be built to address the overcrowded situation. How is Stone Bridge Academy impacted in the plans? This facility will be closed as soon as all Pre-K classrooms can be moved out into their home schools. At least one Pre-K will be maintained in town and housed at the current NGA. Current administrators in the building will be relocated to an administrative wing at the current NGA. This allows all district level administration to be centrally located in one complex. How is Unity School impacted in the plans? The HVAC will be replaced. How is the Central Office impacted in the plans? The current central office houses five supervisors, two support staff, and the Superintendent of Schools. All of these offices will be relocated to the current NGA. This allows all district level administration to be centrally located in one complex.